All the spoilers all the time. You have been warned! If I were to survive an unknown apocalypse, Dinklage’s setup is exactly what I would hope to find myself in. Alone. In a library. Doing a mitzfa by burying the dead and cleaning their house while stealing their computers to harvest the batteries for watching movies. AND returning the checked out library books of the dead. This would be the ideal “end of the world” scenario for me. But of course, we can never have anything nice. Someone always comes along to muck it up. Enter Elle Fanning, stage right. Or rather car into the light post right. This movie was bizarre and long(ish) and did not give me closure. And for the first time with a movie, I was ok with no closure. I loved it. Will watch it again. Probably own it eventually. Oh yeah, did I mention Paul Giamatti pops up and although he did not have a weapon I felt threatened by him? 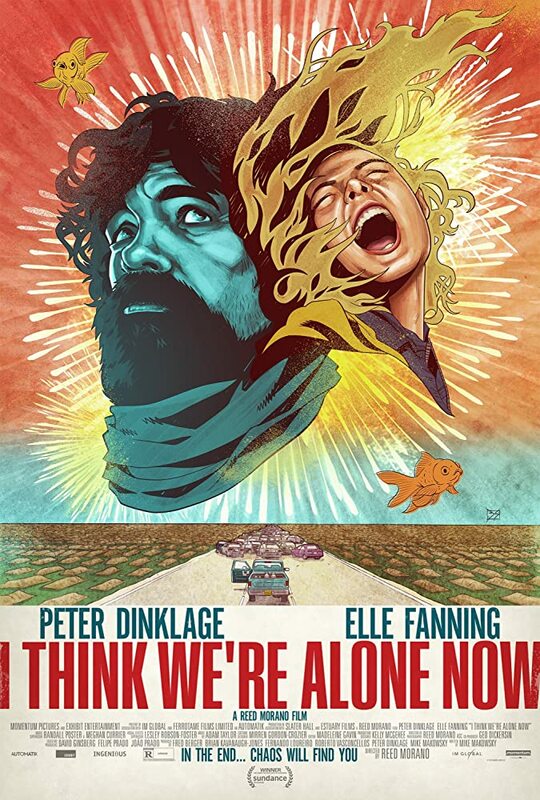 IMDB Synopsis: The apocalypse proves a blessing in disguise for one lucky recluse — until a second survivor arrives with the threat of companionship. I rank this film a 92.63! It received a Rotten Tomatoes rating of 62% Rotten. It received a Rotten Tomato audience rating of 45% liking it. Average Rating: 3.2/5 with a number of User Ratings: 342. DISAGREE….pfffft!